So I needed a goal. I wrote everything out that I wanted to do (Like a HUGE list). Then I made got a plain old sheet of notebook paper & seven different colored markers. I picked my top 7 goals and I wrote them at the bottom of the page and separated them with a thick black line. I had 7 columns. I wrote the way that I was going to get there at the top. 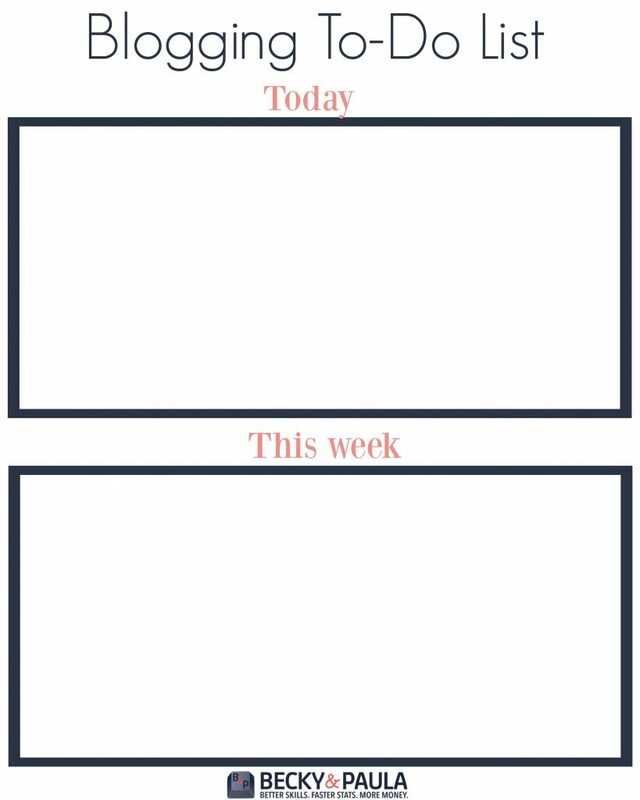 Goal—>>> Sell my new printable organizing binder. I wanted to think of a good way to market it because it was brand new & took months to go from idea to product. Now it needed to sell itself… with a little help. 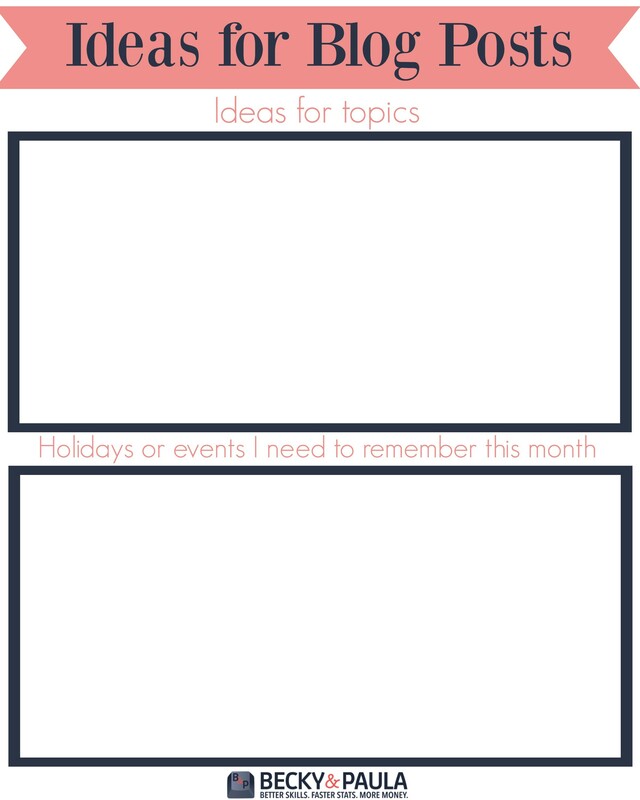 Solution –>>> Do a declutter course & have the printable organizer for sale at the end of it. 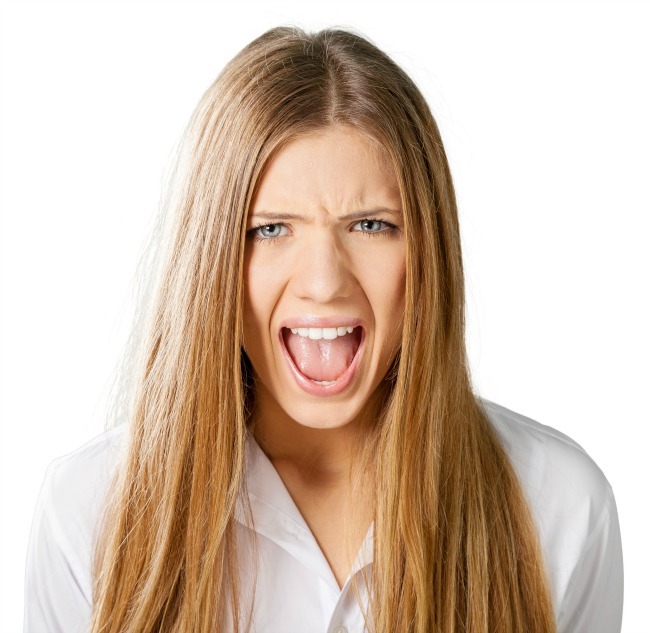 Problem–>> what about those not in the declutter course? Solution –>> take pictures & add it to the bottom of other posts for people to purchase. I did this 6 more times for 6 more products. It takes a few hours (or days) to really get you where you need to be, but you will feel so much better getting all of your ducks in a row & having a plan to get them there. 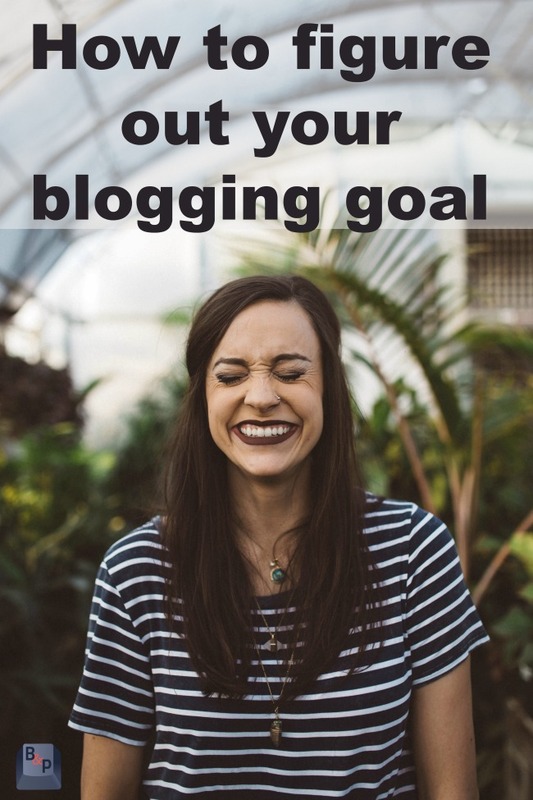 Whatever your blogging goals are, take a piece of paper RIGHT NOW and write them down. Then (today, tomorrow, next week) start going through them, one by one, and figure out how you will get there. 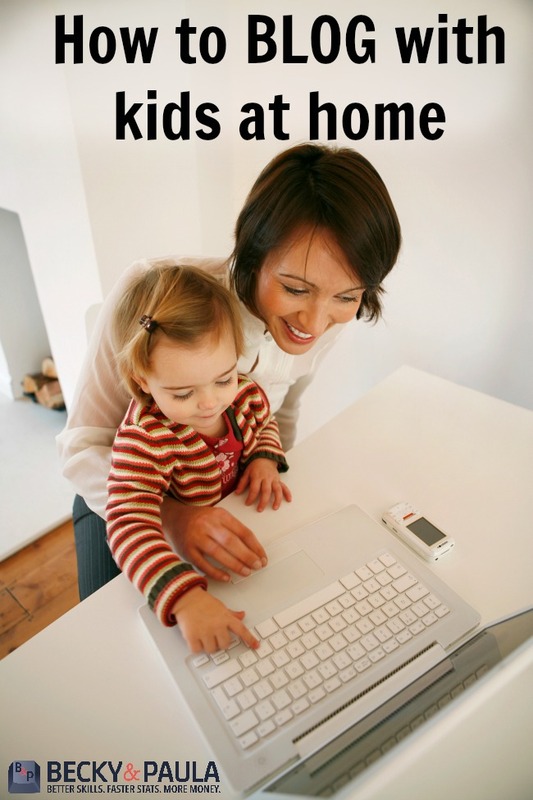 Today I am sharing 15 ideas about how to blog with kids at home. It is hard to work in the summer and honestly work is the last thing that I want to do when our kids are home, but it pays the bills. I wanted to share a few of our favorite ways. HOW TO KEEP THE KIDS ENTERTAINED SO YOU CAN BLOG. 1- Republish!! I would say that at least 30% of my posts this summer have been older ones just updated a bit. 2- Work in batches. I try to get a lot done at once. Once a week, I’ll go to the library near our house & just work for a few hours. I really try to be present with the kids when I am with them, so if I can get work done at night or during these few hours, perfect. 3- Hire out! I just don’t have 3 hours to make a video so I hire people to help me. I never regret it. 4. Don’t plan too many projects. Save your big projects for fall, when you have had time to plan and execute them properly. 5- Give them a bath. Our kids could play in the bathtub for an hour without asking to get out. If I need to work on something that can’t wait, I’ll let them play in the tub while I work on a chair in the bathroom. 6- Rise early or work late. 7- Take advantage of local Bounce parks. Take your laptop and work while the kids play. 8- Skate parks. Our kids love to ride their scooters at skate parks. Plus, all of our town parks have wifi, so I can work easily while they skate. 9- Regular parks. Let the kids slide, climb and play while you check emails on your phone or schedule Facebook. 10- Find a few fast food restaurants with a big play area. Our kids love to go to Chick Fil A and play. 11- Swap babysitting with a friend. 12- Find a local camp. Our town has weekly camps from 9-12 or even 9-5 for $45. While we haven’t done them yet, it is definitely an option if I need a week to catch up on work. 13- Arts & Crafts. When I pull out the play-doh or the Color Wonder Paints, everyone gets so excited. Plus, I don’t have to worry about a mess, since both are pretty easy to clean up if you keep them on a table-cloth covered table. 14- Rent a movie. Or watch Netflix. 15- Pull out a new toy. I save all of my “swag” toys for opportunities like this. I never give them to the kids when I get them (Usually, they are for special occasions like holidays or birthdays, but a “JUST FOR FUN” day is exciting, too! Planning and time management are two of the most important pieces to the blogging puzzle. You can have all of the best ideas for content and be a spectacular image creator, while also knowing exactly how to work social media…but if you don’t divide your time up efficiently you will soon find yourself overwhelmed. There are a lot of fabulous planners on the market, it comes down to what exactly you will be using yours for, to help you decide which you need! If you want it all on your phone todoist is a great app. It lets you set tasks for yourself by day (you can even have recurring tasks daily/weekly/monthly). It alerts you when things are due and even lets you categorize so you could have “blog” tasks and “family tasks” and view them separately or together! If you are a more hands-on person (like me) I would recommend the Erin Condren life planner. This planner allows you to schedule by time of day, has space for weekly tasks and meal plans. I like that blog and mom tasks can all go together in one place, depending on the time of day they need to be done. Also, the weekly sidebar gives me space to write out the sponsored posts that are due and their dates so I can prioritize when I write each of them. This year, I tried using several cheaper planners and none of them had all the functions I need so I fell back on my Erin Condren. Definitely a worthwhile business expense. Whatever planner you decide on, there are a few planning tips that can help you make the most of your time. Choose wisely – Make sure you are spending time on what matters and will bring in more income for your site. It’s easy to get caught up in things that are not doing much to improve your site or your business simply because they are fun! 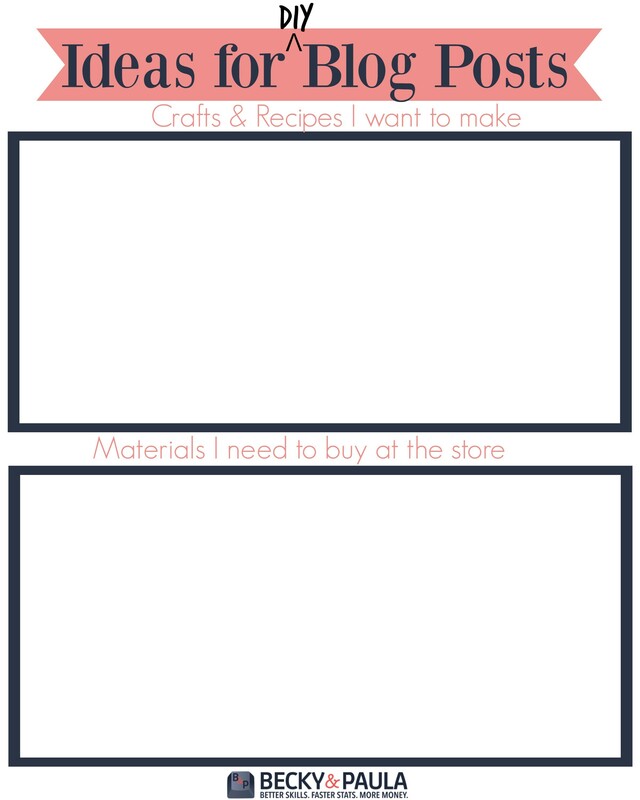 Make sure that the time you are spending on your blog is spent with a purpose! Stay ahead – Watch your deadlines carefully and always try to be at least a few days ahead on each of them. 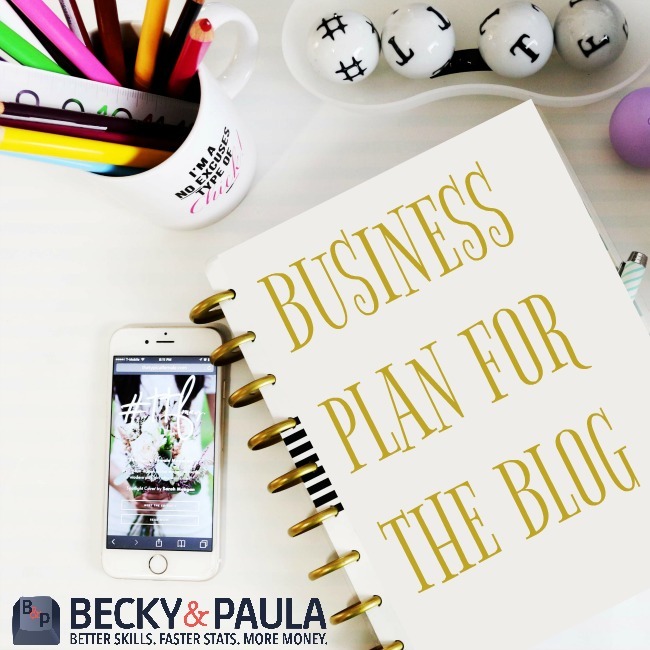 This is the only way to truly run your blog like a business. Especially for those of us blogging from home and also having kids home with us, you truly never know what can happen in the space of 24 hours. I have had the internet go out on me the morning I had a sponsored post do, or a kid up through the night throwing up. If you haven’t given yourself extra time, that can mean turning in work late for a brand, which should never happen! Schedule simple – Everything can go on schedule! This way nothing catches you by surprise. I put important things like business deadlines on my planner and simple things like playtime, trips to the bank and mopping the kitchen. Have you noticed how little things pile up? Even if all your big things are planned out, you can still fall behind if you end up with 10 little things to do one morning. Writing everything out can help keep stresses to a minimum because you always know what you have to do and can plan each day accordingly. Be strategic – One of the biggest things I’ve learned is to do things in “chunks”. I will sit one evening and write multiple posts in a row. A different night I’ll do all the images, and in another sitting I’ll schedule facebook for the week. Keeping them in chunks helps ensure that I stay ahead, and it helps to focus on one thing at a time! 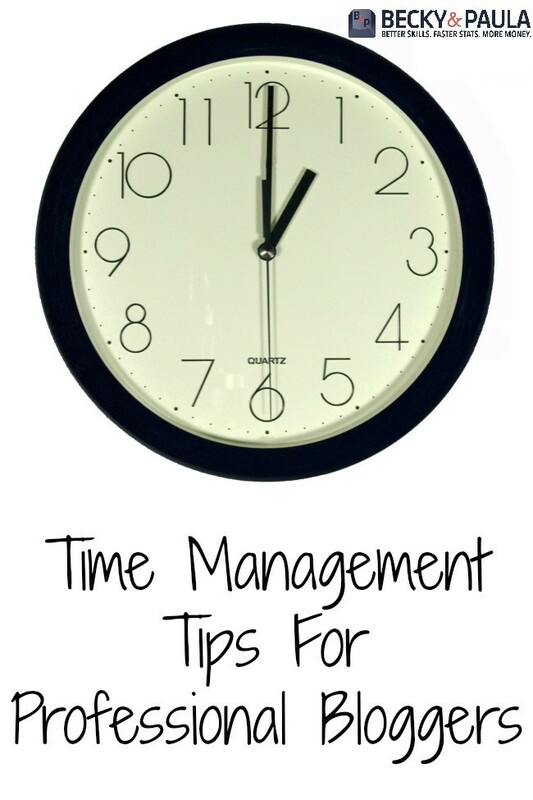 Do you have any time management or scheduling tips? Share your best ideas in our Facebook group and let’s discuss! Every time that I have an idea for a blog posts, I hurry and put it in my editorial calendar and I save it as a draft. That works out great, most of the time… when I have my computer in front of me. When I don’t have my computer in front of me, I put it on a note, slip it in my purse and hope that I remember it later. That wasn’t working out so well, so we created these little Blog Topics for when I am out. I just print out one sheet of paper (with one picture on the front & one on the back) and I keep it in my purse, in the car, and in the van… that way, no matter where I am when inspiration strikes… I’m ready! Instead, I started making myself printable to-do sheets and I print off about 10 at a time. I keep them in a binder and I fill them up. When I fill up one, I don’t go to a new one until I have finished what was on that list. The reason is that I would just keep making more & more lists without finishing what I have. I am a project-thinker-upper (no, that isn’t a real word). You can click on it and print it out for your own use. 🙂 Happy Planning!